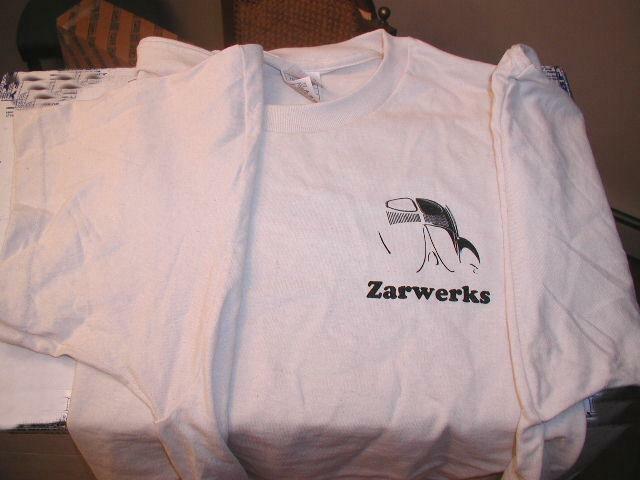 Here we have a few "signature" Zarwerks Accessory items for sale. ...with free shipping in the US! 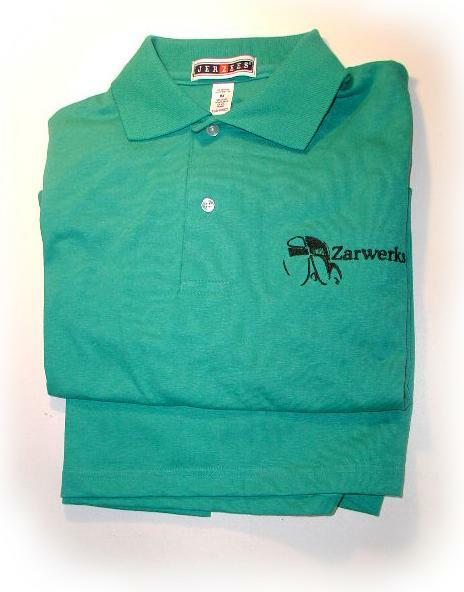 We offer at top quality embroidered polo shirt with black embroidery for a good price. This shirt features soft collar, banded cuffs and 50/50 cotton/poly knit for easy wear and wrinkle resistance. Sizes men's M, L and XL only. 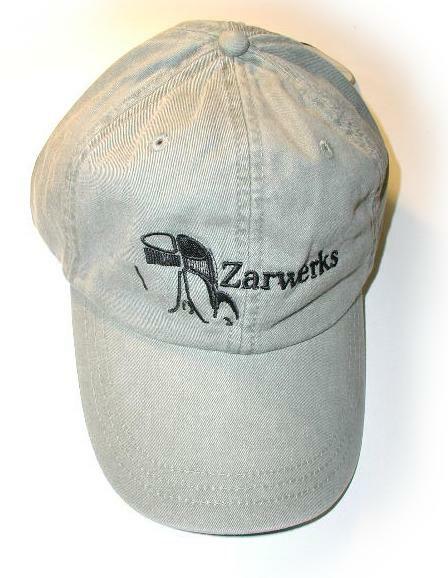 Here is an acid washed, 100% cotton baseball hat with a mesh nylon liner for easy breathing. 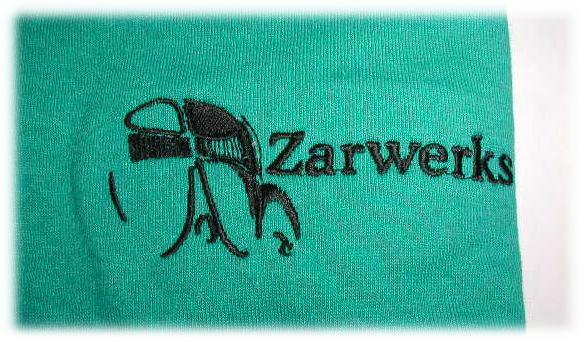 Contrasting black Zarwerks embroidered logo. The headband is leather, adjustable and has the loose strap hides in a sewn-in channel behind the hat. A top quality hat that is super comfortable. 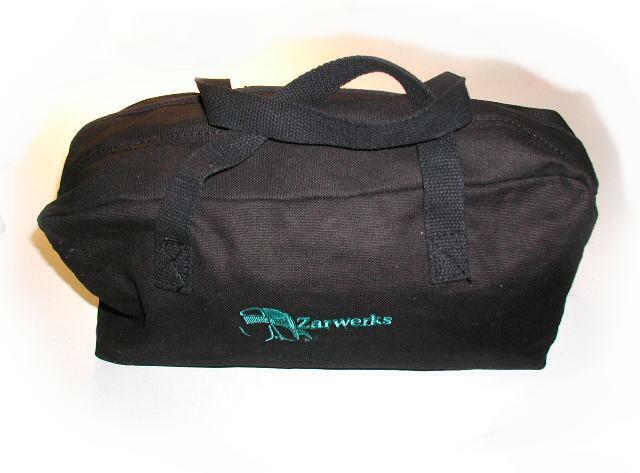 Here is a very unique accessory that we are quite proud of, the Zarwerks "road trip" tool bag. 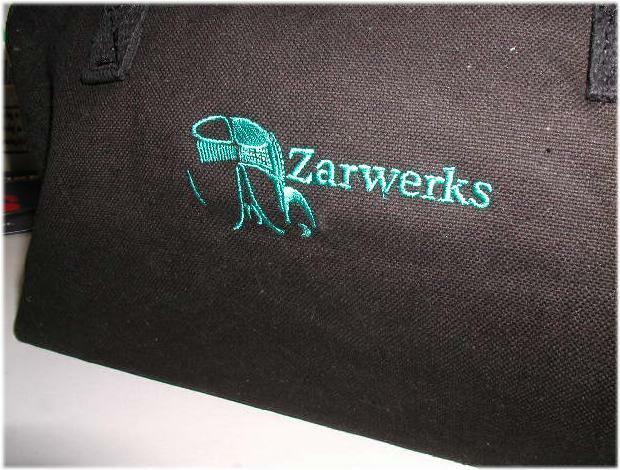 This is a 15 inch long, 5 inch wide, embroidered heavy canvas tool bag. 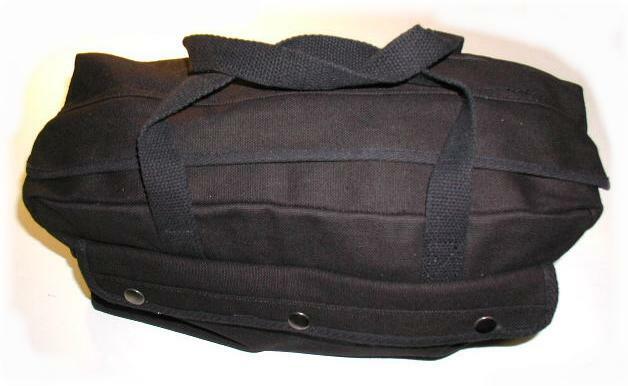 It features and outside pocket with 3 securing snaps and two inside pockets with velcro closures. This tool bag is perfect for taking tools along when you take you vintage VW out for a long drive or cruise with your club. This bag is VERY sturdy and fits perfectly on the floor behind one of the front seats in a Beetle (or under the left side rear seat!). It has an integrated hardboard bottom and folds nearly flat when empty. It is 7 inches deep and will hold a lot of tools. Shirts are nice too, but here is something that you will truly use! 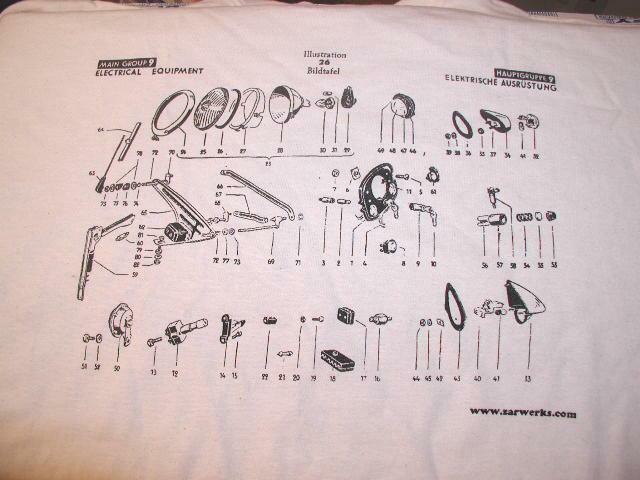 A Zarwerks T shirt with electrical parts diagram on the back from original 1945 Beetle parts manual. Shows all of the really rare split parts; the earliest pope's nose, speedo pod, ribbed semaphores, dome lght, taillights, etc. 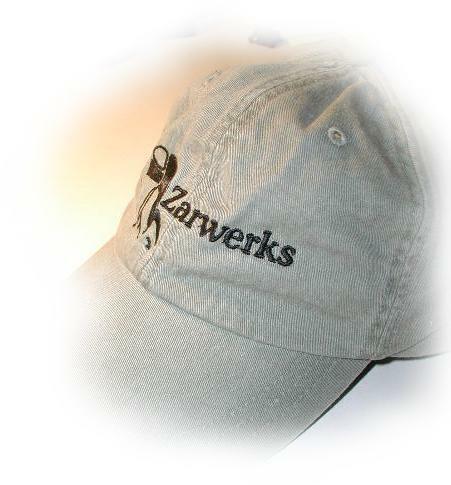 The Large 12" x 12" screening on back, Zarwerks logo on the front.